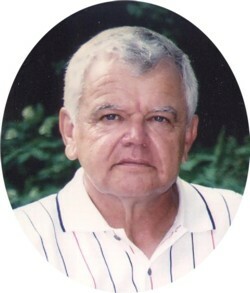 LTC (Retired) Michael L. Shere 71, of North Little Rock, passed away Wednesday, July 25, 2012 of heart failure. He was born June 3, 1941 in the Hamlet of Landsberg on the River Warthe in Germany. Mike, his sister Helga and his mother, Lisa Rosemarie Ebel were driven from their home in Landsberg and fled on foot, a perilous journey, to Berlin. Mike’s mother, Lisa was soon employed by the United States Army and assigned as an interpreter to Army Tech Sergeant Robert L. Shere who was chief dispatcher for the Berlin Airlift. The rest, they say, is history. As a new family they left Germany and came to America in 1948 and settled first at the Shere family farm near Tampico, Illinois. In a quaint one room school called Brown’s School, Mike and his sister learned a new language and experienced a new kind of life on the farm. Having seen the evergreen forests and modest mountains of Arkansas during a vacation, the Shere family moved to Arkansas in 1950. Mike attended Catholic High School, and in August 1961 enlisted in the Arkansas Army National Guard just in time to be activated for the Berlin Crisis and was stationed at Ft. Leonard Wood, Missouri for a time. Though an accomplished machinist, Mike’s true interest was in the military. After seven years as an enlisted soldier, Mike applied for and was accepted to the prestigious Arkansas Military Academy. He continued his career as a full time solider in the National Guard technician program. LTC Shere’s last duty station was as mobilization plans officer for Camp Robinson. In August 1996 after 35 years of faithful service and devotion to duty, LTC Shere retired from military service. Since retiring, Mike has given countless hours volunteering hauling food to churches from the Rice Depot and Arkansas Food Bank where he is known on a first name basis. He has kept acute his machinist skills making parts for his fellow aviation enthusiasts and friends at the North Little Rock Airport. As a member of Arkansas Street Machine Car Club, he took pleasure and pride in showing and driving his Shelby Cobra Mustang. Mike is survived by his wife, Judy and her daughters, Kellie and husband, Ken and Leslie and husband, Randy; son, Mark and wife, Tina; also survived by his daughters, Kellina Ceola and husband, Wade and Amanda Shere; two granddaughters, Kitka Ceola and Anneliese Armstrong; his sister, Helga R. Starr and husband Lionel; and brother, Roy L. Shere and wife, Benda; and many special nieces and nephews. Service will be at 9:30 a.m., Monday, July 30, 2012 at Gardner Memorial United Methodist Church, 1723 Schaer Street, North Little Rock, AR 72114. Interment will follow with military honors at Arkansas State Veterans Cemetery. The family will receive friends from 6-8 p.m., July 29, 2012 at Roller-Owens Funeral Home (501-791-7400) 5509 John F. Kennedy Blvd. North Little Rock. AR 72116.